This guide will help you install SJ Categories Accordion step by step. 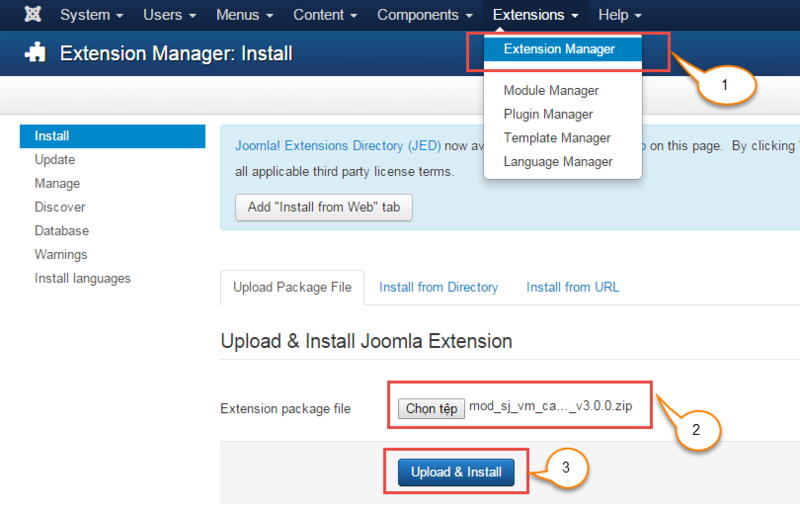 After installing, go to Extensions -> Module Manager and find SJ Categories Accordion to configure. 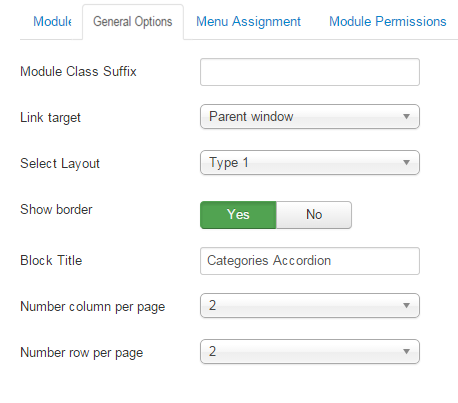 Select Layout – Allow to choose layout of module, we support 3 layouts. Show Border – Allow to show/hide boder for block. Block Title – You can change title for Block here. Number column per page – The limit number of columns which are allowed to per page. Number row per page – The limit number of rows which are allowed to per page. 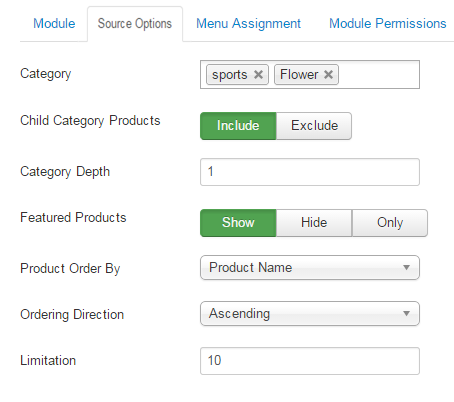 Category – You can choose categories which you want to show on tabs. Display Image – Allow to display Image OR not. Tab Active – Allow to choose tab active. “0” is close all . Tab event – We support two events when active on tabs (Click and Hover). Categories order by -Sort order categories by. Display Title – Allow to display title of item OR not. 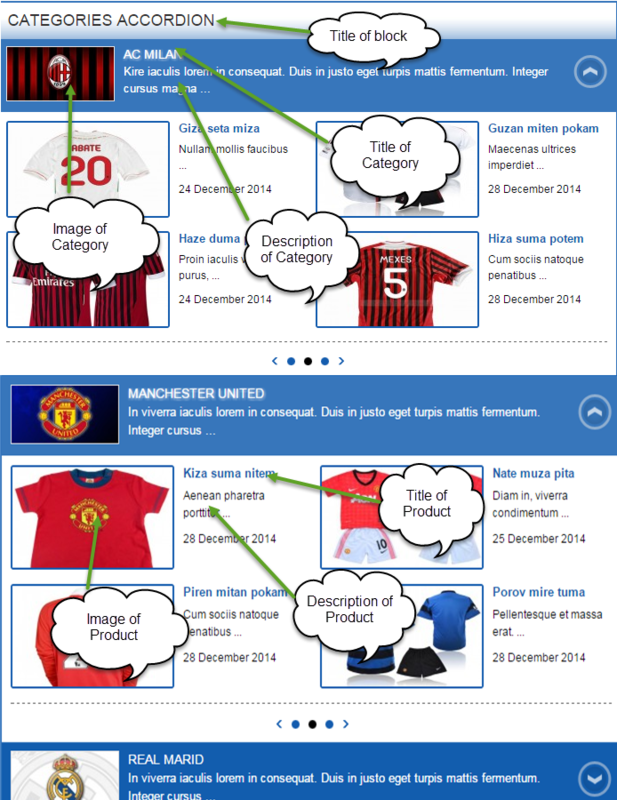 Title Maxlength – The maxlength of item’s title. Set “0″ to show full title.. Display Description – Allow to display description of item OR not. 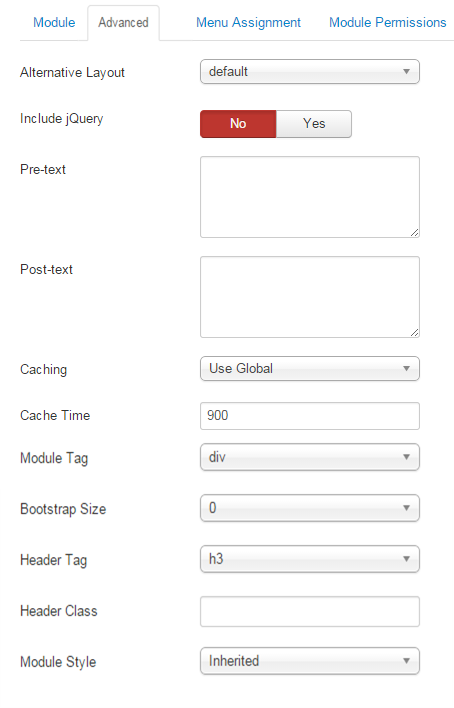 Description Maxlength – The max length of item’s description can be showed. Image Category – Allow to show image category OR not. Image Description – Allow to show image description OR not. Display Created Time – Allow to show/hide created time of item. Display Read More Link – Allow to show/hide link for readmore..
Read More Text – Allow to insert the text for readmore link. Product Image – Allow to show/hide Product Image. Description – Allow to show/hide images from product description. Large Image width – Allow to set width of image for Type2. Large Image height – Allow to set height of image for Type2 . Start Slide – The zero-based index of the slide that should be initially displayed. Pause On Hover – Allow slideshow effect stop when hover OR NOT. Auto Play – Allow you set for slideshow auto play OR not. Interval – Allow to set speed of timer (Larger = Slower). Effect Options – Allow to select effect options (slide/fade). Swipe – Set to true to enable swipe gesture support for advancing the slideshow forward or back. Mouse Wheel – Allow to select Mouse Wheel OR not.